Have you encountered such an annoying problem that is iPhone update deleted your music completely? Read this article to get a quick fix. Download this easy-to-use tool to transfer any type of data, messages, photos, videos, notes, etc. from Android to iPhone easily and quickly. After switching from Android to iPhone, what you want to do first is to transfer data from your Android phone to your new iPhone, right? In 2015, Apple developed an app called Move to iOS to help you move data from Android to iPhone. However, if you’re a newbie, it is necessary for you to learn more instructions about Move to iOS, because many users even don’t know exactly what does Move to iOS transfer and how to use Move to iOS on iPhone/iPad/iPod. 2. It only supports transferring data from Android to iPhone, not iOS to Android. 3. It only works for transferring data from Android to a new or reset iPhone. 4. The transferring process may take you several hours, which depends on the size of your data and the network condition. 5. Currently, it supports transferring data including: contacts, messages, camera photos and videos, web bookmarks, mail accounts, and calendars. Actually, Move to iOS is really a good app that brings more conveniences for users to move their important data to new iPhone. 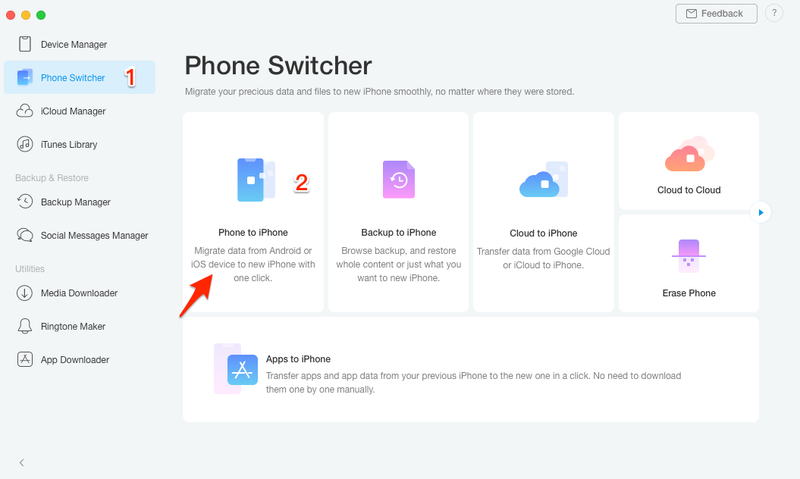 However, you may meet many problems when using Move to iOS app to migrate data from Android to iPhone, such as stuck on preparing, not working properly, unable to migrate, transfer interrupt randomly, stuck on transferring, disconnect Wi-Fi, not connecting to device, etc. 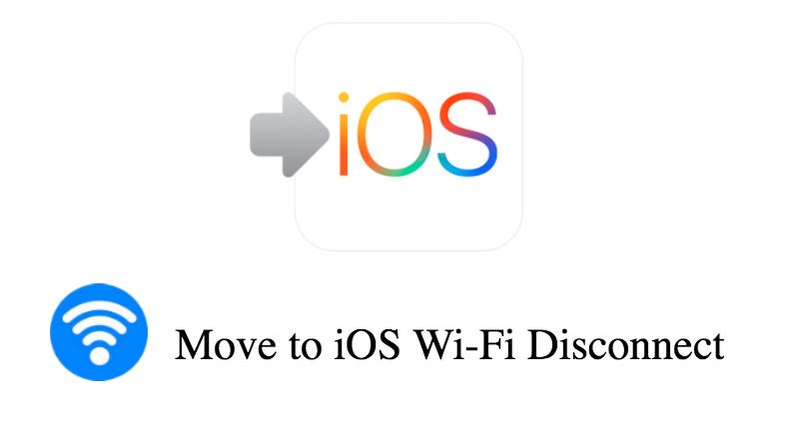 This post is going to help you fix Move to iOS Wi-Fi drops out which stops you from transferring data by using Move to iOS app. Below we collected 8 methods, you can try out one by one, hope one of them can work for you. 1. Check your Wi-Fi router and make sure Wi-Fi is switch on. 2. Input password if it necessary. 3. Restart your Android Phone for several times. 5. Try out Airplane Mode, turn off, and turn on. 6. Smart switch - switching off the Wi-Fi option between Wi-Fi & mobile data. 7. Trying transfer data with Google account. 8. Use some Android to iPhone transfer tools if all of these tips don’t work. Here, we commend you a powerful tool - AnyTrans which enables you to transfer data from Android to iPhone within a few clicks. This 1-click phone to phone transfer allows you to transfer contacts, photos, text messages and many other file types from Android to iOS. This tool can help you get rid of the complicated process and annoying problems of Move to iOS. Now, follow steps below to do this job directly in one click. Step 1. Download and install AnyTrans on your computer > Launch it and connect both your Android Phone and iPhone to computer with USB cables. Step 2. Click the To iOS tab > Select Content to iOS. Step 3. 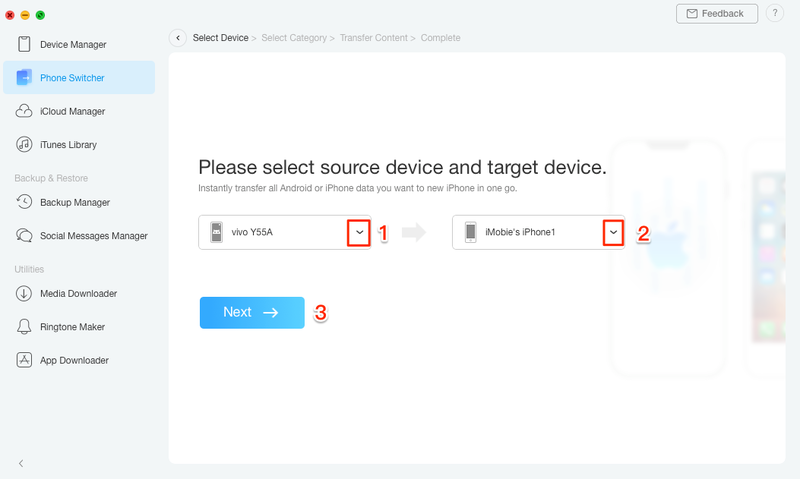 AnyTrans would automatically regard your Android phone as source device and iPhone as target device. Select the file type you want to transfer, click ">" button and your data on Android phone would soon be transferred to iPhone. That’s all for how to fix “Move to iOS disconnects Wi-Fi”, 8 methods are mentioned above, hope you can find one to fix your issue. If you think this post is helpful, just share it with your friends.